Far too many fitness pros spend the majority of their time creating. They create exercise videos for Youtube. They write articles for their blog. They create endless posts for social media. They create, and create, and create, leaving very little time for what matters most: Selling. If you’re not repurposing EVERY piece of content you create, you are literally throwing away your time. 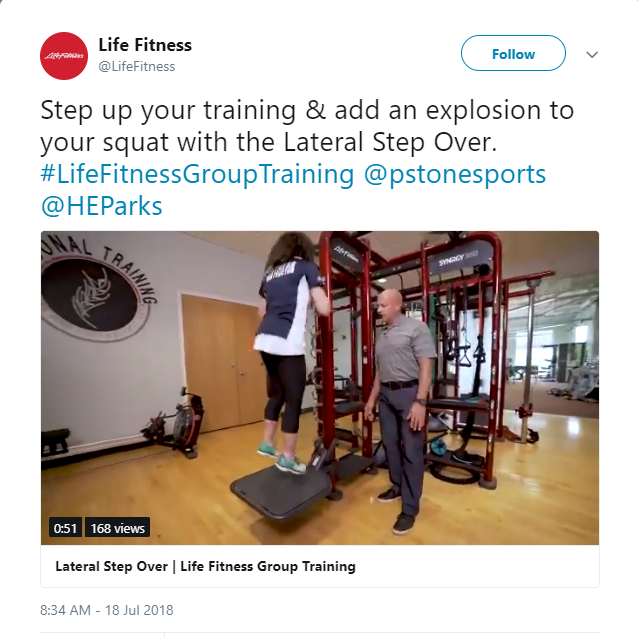 The fitness industry is largely driven by video content and those videos can be repurposed into content for your social media account, your blog, and even to be directly emailed to your clients! Why Should You Repurpose Your Video Content? The truth is, your audience already has more content than they are able to consume. The internet is packed with great stuff from all sorts of creators. So, chances are your audience won’t see 95% of the content you’ve spent all that time perfecting. Instead of creating MORE it's time to share BETTER. Repurposing your videos can help make your content more valuable by populating many platforms at the same time from the same basic content. 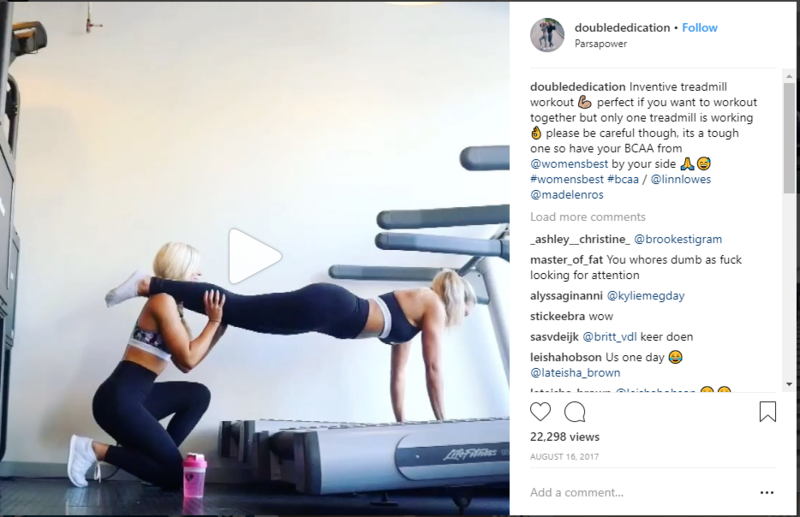 All you need is one video to create multiple interesting and engaging posts that capture people at their preferred source (e.g. Youtube vs. Facebook vs. email, etc.). Before you go any further, you have to ensure you start with a high-quality and engaging video. While videos can be the most time-consuming to produce, research shows that your audience is most likely to engage with a video over another form of content, such as a written post or image. Nothing fancy about it, right? It's all about the usefulness of the video content, not the production quality. Ask yourself: "What video can I create that will REALLY help people out?" I recorded this using my phone and I edited it in Final Cut Pro. There are many free video editing software programs and apps out there. Keep it simple. Once you’ve gotten your video ready, now it’s time to repurpose it to be used all over your platforms. REV is a service that transcribes your video content into a text document. It's fast, easy to use, and cheap. 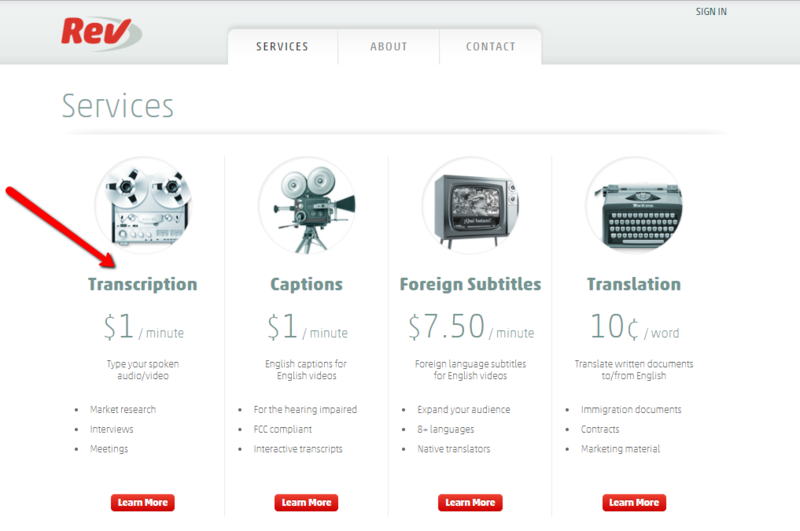 REV even allows you to translate into other languages and add foreign subtitles for international audiences. You’ll have to sign up for a REV account to use the service, and the fee is $1 per minute of transcription. Once you’ve signed up, you can upload or enter a URL linking to your video file, and you’ll have your completed transcript in no time! Usually your transcription will be ready in 12 hours or less. Of course, the most common platform for posting videos is YouTube. However, you can improve the experience of your audience by using the transcription as captions for your video. 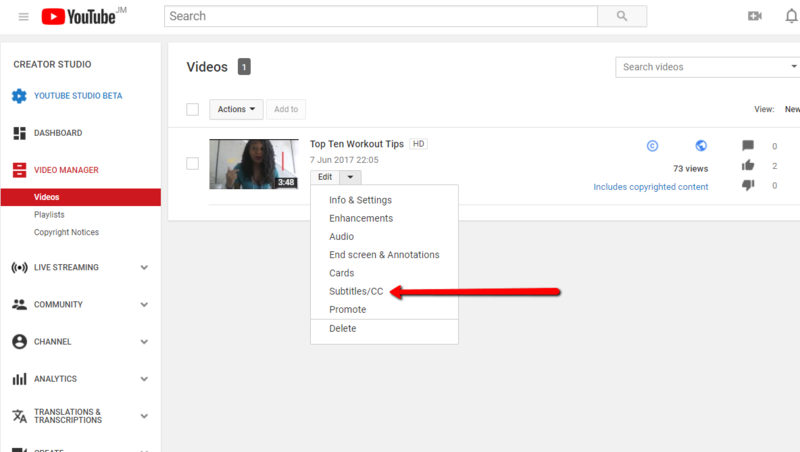 Once you’ve uploaded your video, choose Subtitles/CC from the Edit menu under your video in the Video Manager tab in the Creator Studio. 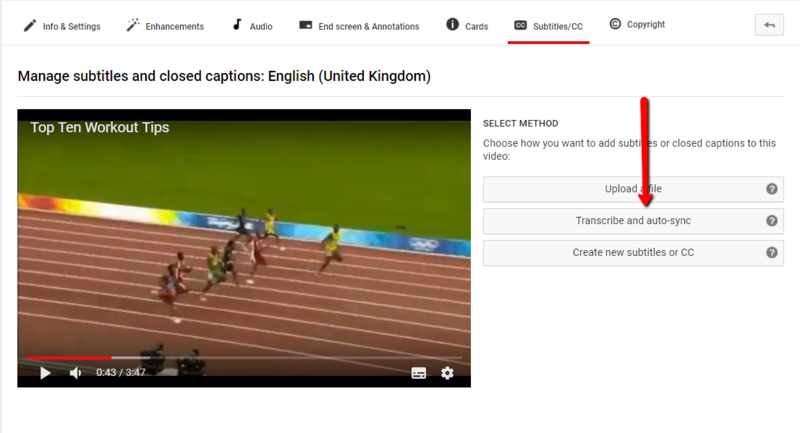 Select Add New Subtitles or CC then click Transcribe and Auto-Sync. 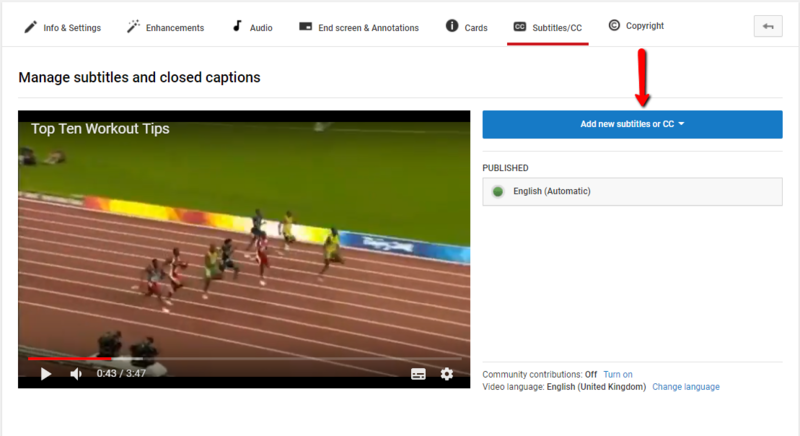 A Video Transcript box will appear, so now all you have to do is copy and paste your transcript here, and YouTube will use your transcript as the subtitles for your video. 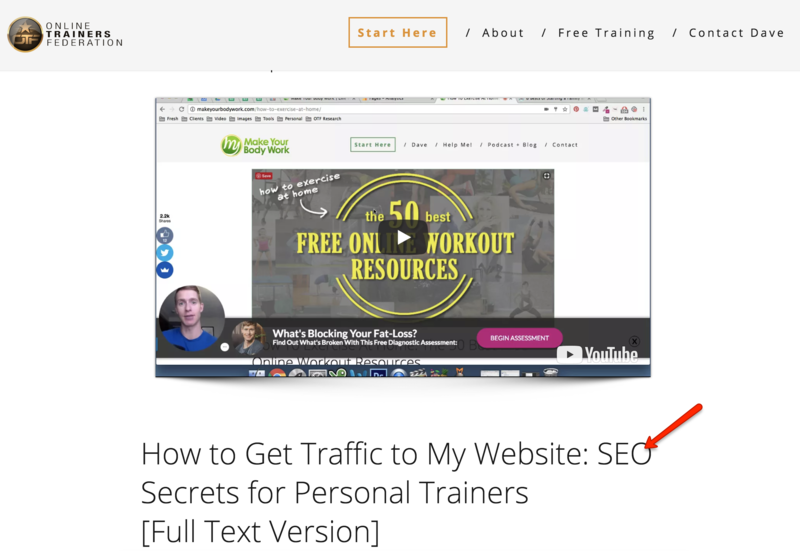 This not only makes it easier for your audience to follow, but also boosts your SEO ratings. Think about how you consume video content on your phone. If you're like most people, you don't turn on the sound unless you're really invested in a video. That's another reason subtitles are key - help your viewers understand what they're watching so that they're enticed to tune in more intently. One helpful thing you can do is edit your transcript to create a summary version of your video post. Just focus on highlighting the main points and giving your audience enough information to keep them engaged. Then, simply upload your video to your Facebook page and use the summary as the post description. This way, your audience has a clear idea of what your video is about, even if they don’t have time to watch the whole thing. You can upload your video to Facebook and include a summary in the description or comments to get more reach from your content. Depending on the nature of your video, you may also be able to use the entire transcript, or parts of it, as a written Facebook post. Some people prefer reading to watching, so test this out. While Instagram is another platform heavily driven videos, the time limit for Instagram videos is just 60 seconds (bummer!). But, you can still showcase your work by taking small snippets or screen shots from your videos and using them as image posts on Instagram. 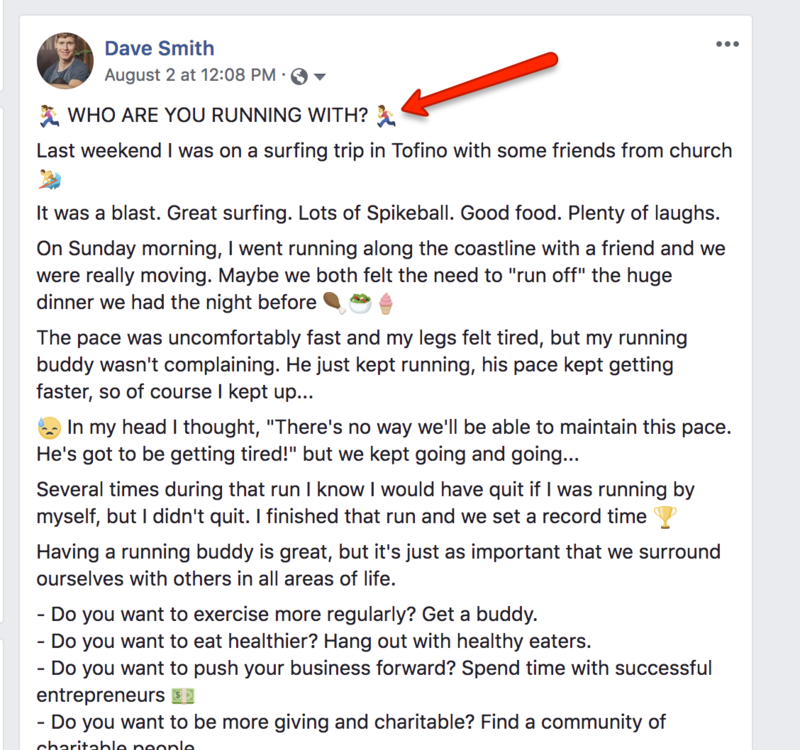 You can then use the text summary you already created for Facebook as a caption and provide a link for people who’d like to view the full video. You can post snippets or still shots from your videos on Instagram. Just like Instagram, you can post screen shots or snippets from your videos on Twitter, and create an accompanying post from the summary of the transcript. Writing blog posts from scratch is a time-consuming, yet valuable, process. As noted above, some people respond better to written posts than videos, so investing in written content is worth your time, especially if you can use repurposed video content. Here's an example I created for the Online Trainers Federation. I just followed the steps we've already discussed: The video goes on Youtube, then the transcript becomes my "Full Text Version" blog post. So easy! As I did here, you can embed the video into your blog page and use the summary you created as an introduction or recap for your audience. Just like a blog post, you can use the transcript to create a newsletter that you can email out to your subscribers. This is a great way to directly target your customer base and ensure that you don’t miss clients who may not be active on social media. Here's an example of a transcribed video that I turned into a Facebook post and then sent out as an email to my subscribers. It was interesting to see who responded on each platform (Hint: it was different people on each, therefore broadening my reach versus if I had only posted in one spot). Make sure you still include a link to your video in the email. This way, interested people can have the chance to watch the complete video and subscribe to your YouTube/social media pages to access more content in the future. 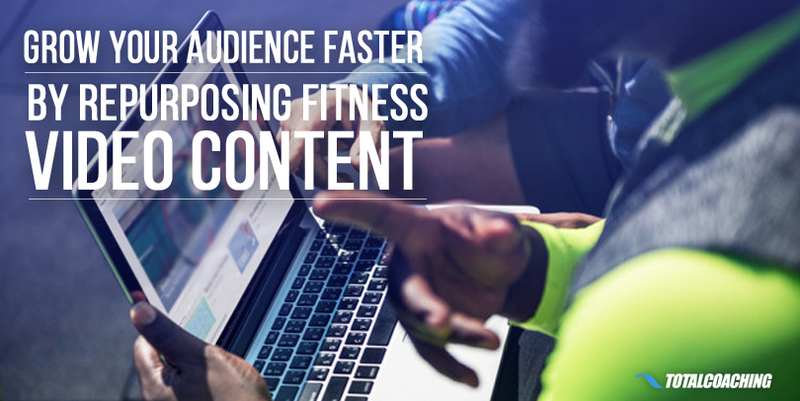 Videos are a surefire way to build engagement and grow your personal trainer business. Even better, your videos can provide enough content for all of your online platforms, thereby saving you time that you can now spend on helping clients and selling your services. Have any questions about repurposing your video for other online platforms? Leave a comment below.